Have you ever wondered when you last did something? Your last vacation, your last call to your parents, or last toothbrush you changed. 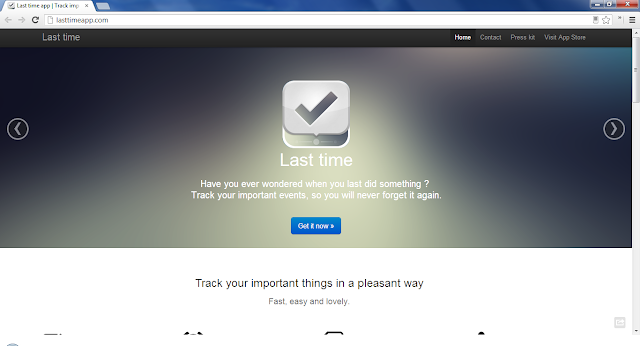 Last Time makes tracking things become an easy and enjoyable task, so that you won't forget any important thing again. Last time you enjoyed with your children. Pick it up for iOS and follow the on Twitter.